It’s that time of year again! Cozy sweaters, crunchy leaves and miserable colds. 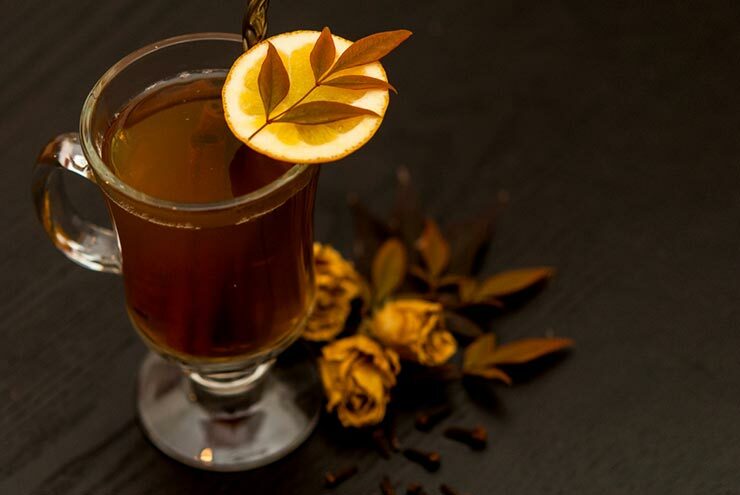 This Hot Toddy will warm your soul and sooth your sniffly little nose. Whenever the weather changes sharply, I inevitably get a cold that puts me out for a full week. Halloween was 70 degrees, and then it was 40 just a day after, so suffice it to say, I didn’t see much more than my bed and teddy bear for the last 7 days. Luckily for me, I have an arsenal of cozy drinks and treats to get me through the winter when the sniffles strike. 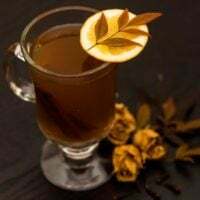 My favorite drink to sooth my shivery bones is this cozy Hot Toddy! It’s not a traditional recipe. 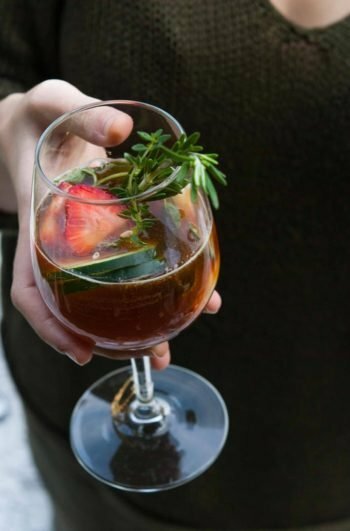 Usually, a Hot Toddy calls for a tea like Earl Grey or Chamomile – and some don’t include tea at all. 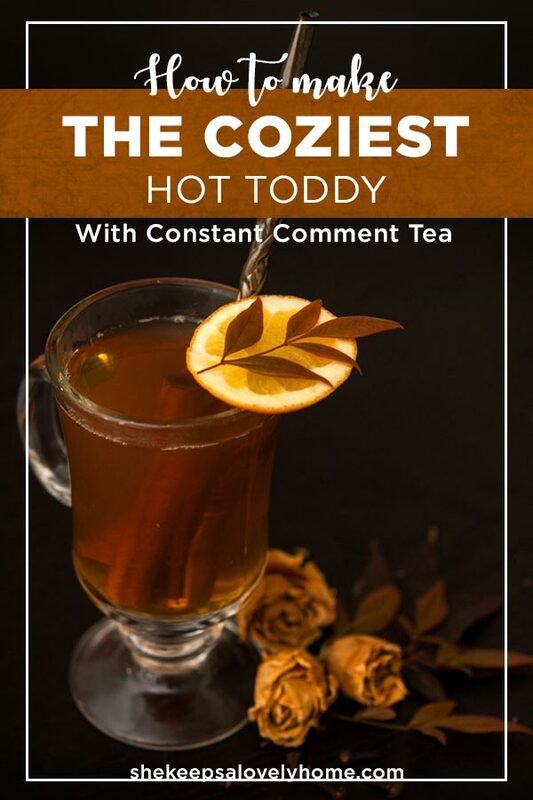 I use Constant Comment for my tea and it’s so much better than any other tea for a Hot Toddy! And FYI, I don’t have any sponsorship from Bigelow. It’s really just that good! 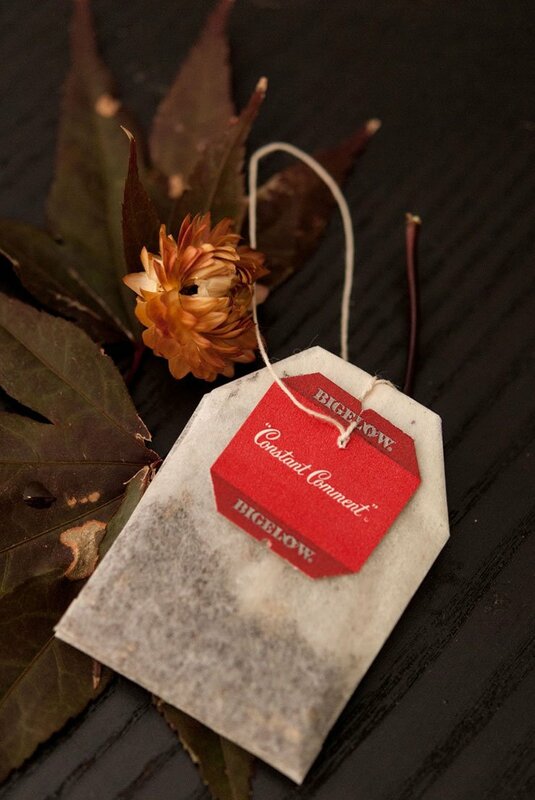 If you haven’t tried it, Constant Comment is the perfect Fall and Winter tea! It’s already flavored with orange peel, clove, and a touch of cinnamon that reminds me of waking up to the smell of Park Slope fireplaces and crunchy leaves in Brooklyn. And look at this wonderful antique tea cozy/straw I found to add my cloves to! I don’t know exactly what it’s called, but the top screws off, and you can put tea or spices inside. 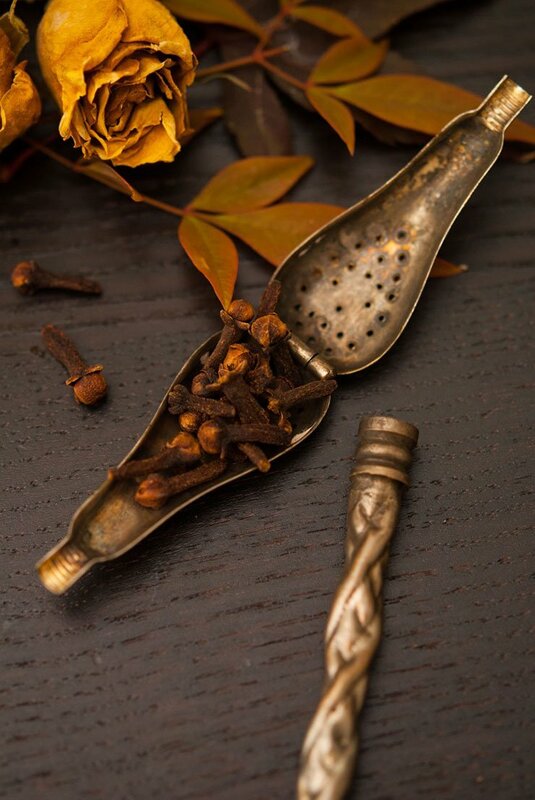 Perfect for stirring the cloves into my drink! 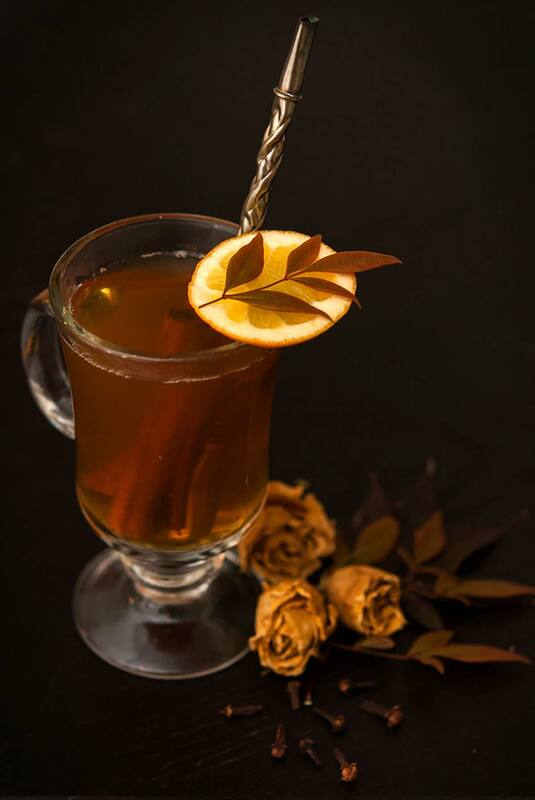 This is a little spin on the traditional Hot Toddy with Constant Comment instead of the more traditional teas. Boil a cup of water for your tea and let your tea bag steep for about 2-3 minutes (leave some room for your whisky, bourbon or scotch). 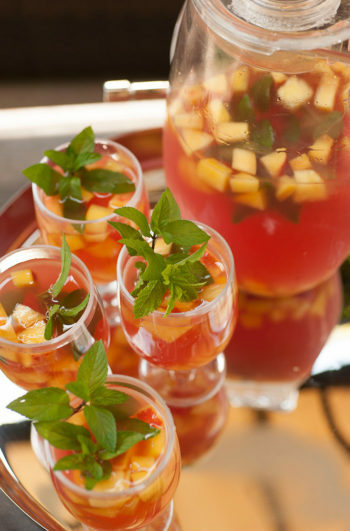 When your tea is steeped, pour your liquor, lemon juice and honey in. Stir until the honey is dissolved. Add your cinnamon sticks, orange slice and cloves. 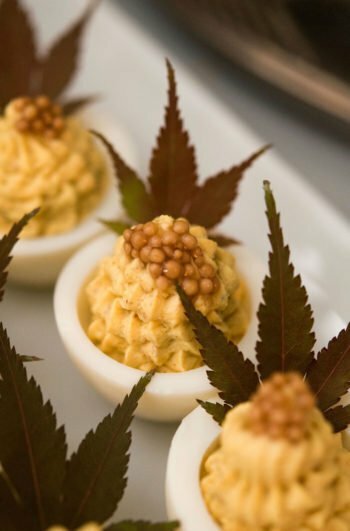 Some folks like to stick the cloves in a lemon or orange slice and add it to the drink, but if you’re lucky enough to have a fancy little tea egg, just add a few and plop it in your drink!